Ray Abruzzo as Carmine, Shannon Tinnell (producer), Paul Ben-Victor as Grandpa Johnny, Jean Zarzour as Marian Oliverio, Joey PANTS Pantoliano as Frankie in Feast Of The Seven Fishes. With Paul Ben-Victor, Feast Of The Seven Fishes. Michael Leydon Campbell, Larry Clarke & Jean Zarzour in the feature, Looking for the Jackalope. Lynn Cohen as Rose, Jon Dore as Joey and Jean as the Psychic in The Pickle Recipe. 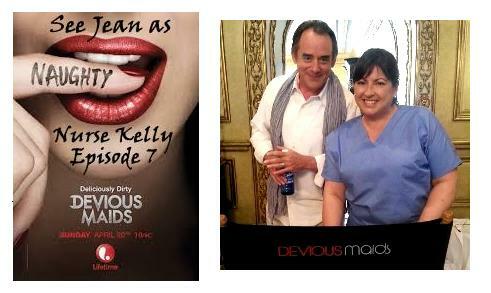 As Nurse Kelly with Tom Irwin in Devious Maids. 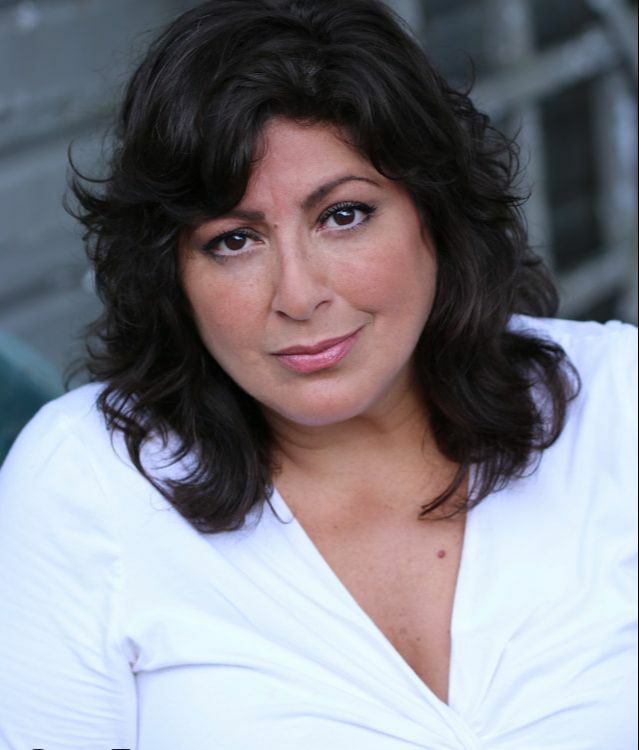 Jean Zarzour is a 30-year veteran performer in TV, Film, Theater, Radio, Dance, Improv and Corporate Communications in the U.S. and for 2 years in England, Wales and Italy. Jean has appeared as recurring character Marybeth, in OUTSIDERS on WGN. She has appeared in feature films opposite Taryn Manning, Seth Rogen, Joe Pesci, Stanley Tucci, Mercedes Ruhell, James Coburn, Rob Lowe, Clint Howard, Marc Singer, Hank Azaria and Jake Gyllenhaal. T.V. credits include Chicago PD, Outsiders, Devious Maids, Detroit 187, Candid Camera, America's Funniest People and hundreds of commercials. 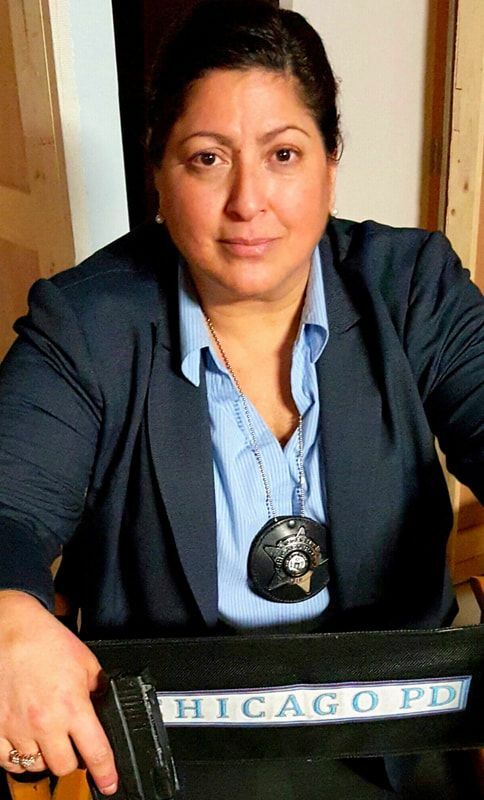 She has appeared in 5 Off-Broadway productions and at The Cleveland Play House, Great Lakes Theater Festival, Actors’ Summit, Dobama Theater, Cleveland Public Theater, Ensemble Theater and Berea Summer Theater. Jean also spent 2 years in Menopause The Musical, nationwide and originated the role of Annie Abelein in the world premiere of the musical, TUNING IN, at Akron University's EJ Thomas Hall. As Owner of LIPSCHTICK, Jean has built a renowned reputation for putting the "Show" in "Business" with customized comedy and Laugh & Learn Workshops for hundreds of corporations and associations, nationwide since 1989.Visit www.lipschtick.com. Jean most recently appeared on the Conan O'Brien show in NY, as Delilah in NBC Universal drama series GONE, as the Psychic in the feature film THE PICKLE RECIPE with Lynn Cohen and David Paymer and asPam in the feature film LOOKING FOR THE JACKALOPE. Look for Jean opposite Cate Blanchett in the feature film Where'd You Go, Bernadette?, premiering in 2018.